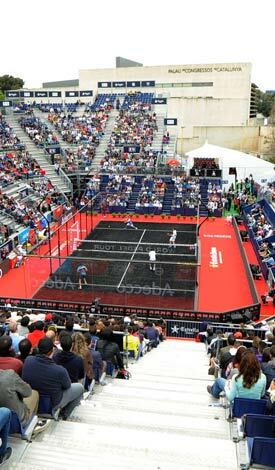 Why the best professionals choose Pista Padel World? 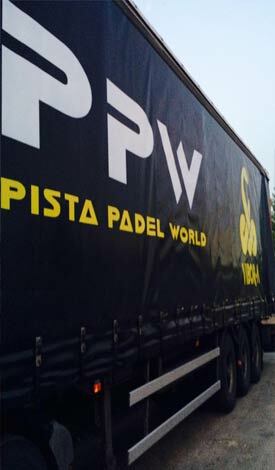 PPW, is a company created in order to provide the best service with the highest quality and reliability in all areas of sport, especially in the world of Padel, endorsed by more than 100 clubs around the world. Joining points above view, suitable facilities for any athlete profile are created. Tracks Created with high quality materials and the best qualified professionals in compliance with ISO standards. All our materials certified by ISO, CE and Australia Standard. When a customer presents his project, the bottom line is to do it as if it were our own, treat it with love, then do a thorough study on the type of approach to be developed, in order to advise on the most appropriate way, based on our extensive experience in design and construction of sports facilities. Once the Project study performed, we presented to the customer the best options adapting to their interests. Giving a more tailored between what the customer wants and possibilities of the initial approach. With The approach of the project submitted and approved by the customer, PPW Is started, in order to meet all the agreed conditions, quality, execution time, budgets and final delivery. Fulfilling all the agreements with the máximum guarantee and satisfaction and invite our customers to our facilities to have followed from the beginning of the manufacturing installation. So The customer everytime knows the evolution of its sports center. PPW designs, builds, maintains and can manage… paddle courts,tennis courts, soccer fields, multipurpose courts and civil works of any sports facility that you want to perform, both outdoors (outdoor) and covers (indoor). By supplementing it with the distribution of sports equipment of the top brands in the sector, our client will not miss anything when you open your sports center. In PPW we can assess the state of its facilities and advise them on what would be the actions to be carried out in order to let them back in perfect condition. Repair lighting, nets, fences, grass, crystal hardware (strongly recommended every 4 years) and any problems that may arise in their facilities. If you are planning to cover their tracks, we can also conduct a feasibility study on closing, and present the draft and how would be in 3d. The customer leaves in our hands the creation of their project, from the beginning, taking full information on the state of the rehabilitation works or of its facilities. Everytime, you will be advice on any question that may arise regarding the development of the contracted project. Your peacefulness and satisfaction is our priority, and we guarantee as our team is made up of people highly prepared to carry out their work with professionalism, using the highest quality materials, and adapting to a more than competitive price. 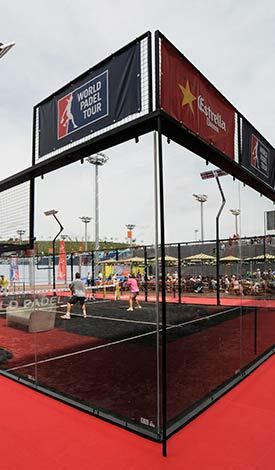 All of this is based on the experience of profesional players in the world ranking tops as Juan Mieres, Pablo Lima, Aday Santana and Jordi Muñoz, which provides the “touch” needed to ensure a perfect finish, taking care to the smallest details so the experience of playing in one of our courts is perfect. If you intend to build sports facilities, please contact our team, so they can make an appropriate budget for your needs and advise you on any doubts you may have. If you accept the budget we can send samples in 3d of your project. Go to CONTACT and fill out the form and shortly we will contact you. PPW design Padel Courts following the technical specifications of the International Federation and Spanish Paddle and according to the regulationsof sports facilities (NIDE 2004), in compliance with all regulations with total guarantee for any event. We are also specialized in all kinds of sports facilities. The next projects we will do: will be in Argentina, Venezuela, California, Chile, Panama, England and Australia, thus strengthening our more than proven experience and quality when it comes to build and manage sports facilities of various magnitudes. 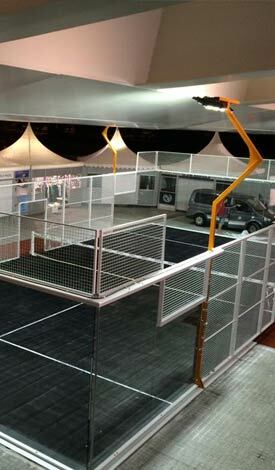 In Pista Padel World, we can design the track that you like. You can choose the color of Metal Profiles, color of the grass and thickness of the glass. Below you can see a sample of some of the combinations most used by our clients when selecting the type of profiles and grass. Click on each combination to see the result.